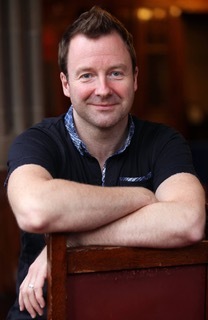 JEFF BORRADAILE BE.d (hons) Jeff is Musical Director of Blackburn People’s Choir (BPC), Gathered Voices, The Honour Choir, Ordsall A cappella Singers (OAS) Vocalise Youth Choir, Maelstrom Male Voice Choir and Decibelles Female Voice Choir. His choirs perform in the region of 45 concerts a year sharing their love of singing to thousands of people. He also strives to develop a legacy of singing through his choirs making it free to join for under 25’s, training and supporting assistant conductors and this year developing Vocalise Youth Choir. Jeff leads many educational projects. These have included workshops with the Halle, Bridgewater Hall, The Lowry, Sing Up, Quays Culture, Music and the Deaf, individual school projects and outreach from his various choirs. He is currently Artistic Director with SING TOGETHER, Blackburn Cathedral’s outreach project cultivating a legacy for singing in 120 school across Lancashire. 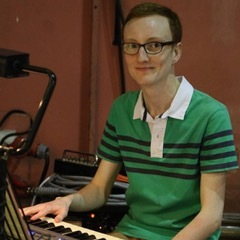 Musical Director credits include: NATIONAL FESTIVAL OF MAKING (BLACKBURN 2017); (SUPER SLOW WAY RHAPSODY (Super Slow Way 2016); LIP SERVICE -DOREEN GRAY (THE LOWRY 2015; WONDERSTRUCK (Manchester Museum 2014); THE EVENT (Ordsall A cappella, Home Theatre Manchester, ATC Productions 2014); HONOUR (Quays Culture 2014); CORE ASSETS CHOIR (Foster Families Choir 2014,15); PULL OUT ALL THE STOPS (Halle/Southbank Centre 2014): TROY (Royal Exchange.Voice coach to Lily Cole 2014); MUCH ADO ABOUT NOTHING (Royal Exchange 2014); THAT DAY WE SANG (Royal Exchange 2013-14); MACC (Choral Competition Judge 2011,1213); MANCHESTER LESBIAN GAY CHORUS (2004 – 2012); CARLOS ACOSTA PREMIÈRES PLUS (The Lowry 2012); LIP SERVICE - DESPERATE TO BE DORIS (The Lowry 2012); BEAUTIFUL THING (Royal Exchange Theatre 2011); YEAR OF THE FLOOD (Manchester Literary Festival 2009) and BRIDGETOWER (National Touring Opera, Bridgewater Hall 2007). He was MD for the Commonwealth Games Children’s Choir, Manchester Youth Soul Choir and for the opening of The Lowry and Manchester Imperial War Museum. Jeff is currently working with Paul Whitaker OBE on a Singing/BSL project for the Capital of culture Hull. With Blackburn People’s Choir developing a piece based on photographs taken during the Industrial Revolution documenting the lives of mill workers and is writing songs for the Sing Together project. Rebekah Ashton is the Vocalise Youth Choir accompanist and member of Blackburn People’s Choir. 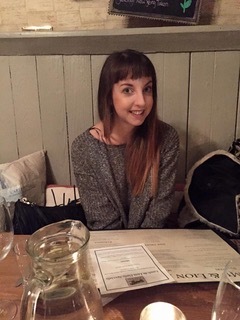 She is currently working as a Primary School Teacher and Music Specialist at Brookside Primary School in Clitheroe. Her main instrument is classical and jazz piano. She began playing the piano at the age of 9 and achieved her Grade 8 in 2007. She studied a Bachelors Degree in Music with Honours at the University of Hull from 2007-2010. Here she primarily studied modern and film composition and had many compositions performed during her time at the University. Rebekah also studied piano performance and orchestration. In the Summer of 2008, she performed with a Big Band and various jazz bands at the Edinburgh Fringe Festival. In 2010, she played the piano in Shostakovich's Jazz Suite No.2 with the University of Hull's orchestra. After completing her Music degree, she studied for a PGCE Primary School teaching qualification. After graduating, she became a Music Specialist and Primary School teacher at a school in Blackburn. Here she took part in a variety of musical projects including a composition project with Manchester Camerata. Furthermore, she composed a piece in 2017 that was performed by several schools in Blackburn. Currently, Rebekah is working at Brookside Primary School and has a successful children's choir there, which has continued to take part in a variety of events through Blackburn Cathedral's Sing Together project.